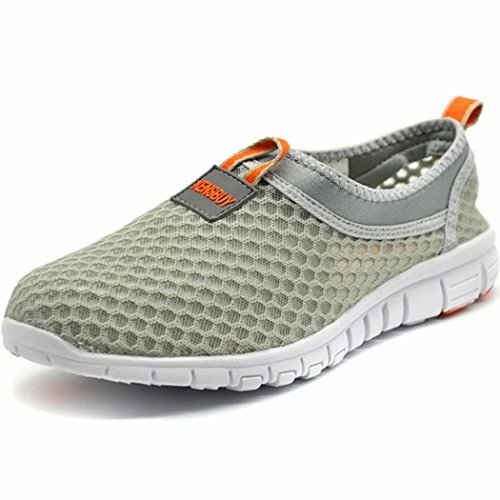 These shoes feature a cool mesh upper and soft cushioning outsole integrates with slip on closure,provide your feet comfort all day long.Simple design is suitable for leisure days. KENSBUY is committed to leading, trend, fashion and comfortable living, our products cover work, leisure, sports, both man and woman, old and little, can find your shoes in our side.We offer the highest quality goods for each guest with the lowest price, and I am sure that you will not be disappointed. Features very comfortable cushioned insole. If you have any questions about this product by KENSBUY, contact us by completing and submitting the form below. If you are looking for a specif part number, please include it with your message.